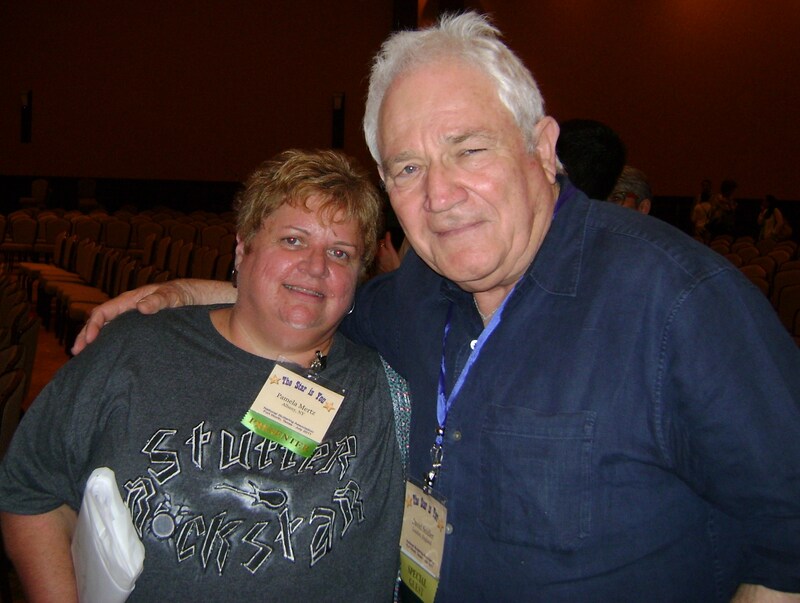 Me and David Seidler, Academy Award Screenplay writer of "The King's Speech"
Just got back from the annual National Stuttering Association conference in Ft Worth, Texas. It was a great weekend. Now that I have attended six consecutive conferences, I feel quite at home there and love recognizing old friends and meeting new ones so quickly. Time after time, this weekend, I heard the phrase, “now I understand.” Even if you are meeting someone for the first time, you feel as if you already know each other because of the bond we share. That automatic feeling that the other person knows exactly what you are thinking and feeling, and that the shared experience of our unique difference is powerful. I had a great conversation with a friend from my home town who was attending his first NSA conference. After meeting people and telling them where he was from, many asked if they knew me (which is hugely gratifying to feel known in this tight-knit community.) But my friend also mentioned that he finally understands how powerful being part of the stuttering community is, after only experiencing himself for 2 days. He and I are in the same community here at home, yet I do not participate in any of the stuttering events at the local college that has an active program for people who stutter. I have deeply felt that void in my life, having a stuttering community right in my backyard that I do not feel a part of. My friend told me that now he really gets how powerful community is, after his own experience feeling embraced immediately by the NSA community. I was glad to have shared that conversation with my friend, and many more deeply significant conversations and moments from this incredibly powerful four-day weekend with over 800 people who stutter or care about people who stutter. Later in the week, I will provide an update of the three workshops I participated in as facilitator, and two other terrific sessions that I participated in. And I will share some of the best tidbits and moments from some of the unstructured activities that I participated in. Check back later in the week for some updates of the best moments. 2 Responses to "Now I Understand"
Pam it was awesome to meet you and other great people. I would advise all those who stutter attend at least once such a conference – it is an unforgettable experience.